» When Do Kittens Eyes Change Color? Ever wonder why your kitten’s blue eyes changed color? Have you ever been interested in learning about when and how their eye color changes? Cats have a wide range of eye colors and, interestingly enough, each eye color has its own unique genetic story. Do Cats’ Eyes Change Color? What Causes Change in Eye Color? 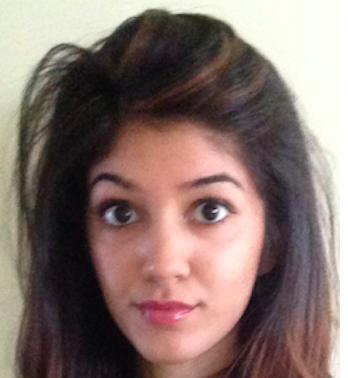 Attaining a specific eye color is an interesting genetic phenomenon. Before we try and understand when and why do kittens’ eye colors change, it’s crucial to back up our knowledge of some basic science. Genetically, there are two significant factors that influence eye color in kittens. These are iris pigmentation and blue refraction. Within the iris, there are cells known as melanocytes which are responsible for producing pigment. The more pigment the iris has, the darker in color the eyes will be. Blue eyes have the least amount of pigment. All animals also have a tapetum lucidum, which is essentially a thin layer of tissue behind the retina. This is the area where light from the outside will be refracted and any light entering the eye is reflected back onto the eye. In cats with darker-colored eyes, this reflection will typically be yellow or green. In cats with blue eyes, it is red. Nearly all kittens are born with dark blue eyes, but this does not mean that they will carry the blue eyes into adulthood. At around 6 to 7 weeks of age, a kittens eyes may begin to gradually change color. What color their eyes will end up being is a result of the amount of pigment within the tapetum lucidum. Most of the time, a kitten’s eyes will be permanently changed into their adult color by the time they reach 12 to 16 weeks. 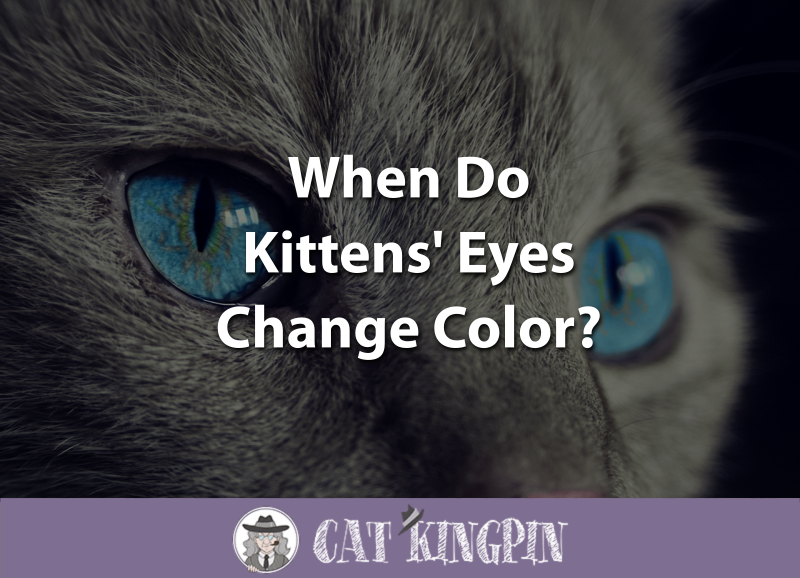 Any time you see changes after that, it could indicate a serious problem, which we’ll talk about later, so keep reading to find out more about eye color changes in adult cats. Which, by the way, they don’t change if your cat is staring at you. If a kitten carries blue eyes into adulthood, then this indicates that their tapetum lucidum lacks pigment. Usually, these kittens will have lighter blue eyes from the beginning compared to those who will end up with green, brown, or yellow eyes. Unsure about how old your kitten is? Have a look at “When Do Kittens Stop Growing?” to learn more about how kittens develop. Blue eyes in adult cats are often associated with a white coat. This means that should you have an all-white kitten, then they are most likely going to keep their blue eyes when they reach adulthood. Do you own a Tonkinese cat? These cats have a unique, vibrant turquoise-colored eye. This is because they inherit both the blue-eyed gene from the Siamese and the gold-eyed gene from the Burmese. The result, an intermediate color. Ever notice cats that can have one eye blue and one eye brown? Some kittens may inherit two different eye colors. This is referred to as heterochromia iridium and it seems to be more common in white coated or patched-coated cats. Sometimes, cats with heterochromia can have four different eye colors when the light hits them right because they can have a blue eye, a green eye, a red refraction in the blue eye, and a yellow refraction in the green eye. You may have heard of people who state that feeding cats fish will result in a change of their eye color. Unfortunately, this is simply not true although an adult cat’s eye can indeed change color. However, this change often occurs as a result of illness or injury, and has nothing to do with diet. In the video below, the owner of this cat claims that his cat’s eye changes color in response to sound. This is not true! The cat in this video is an adult with blue eyes. Remember! Blue-eyed cats often lack pigment in their tapetum lucidum. As the cat’s pupils dilate in response to sound, more light is refracted towards inner eye which reflects a red appearance. This red color is simply light reflecting off the blood vessels within the vascular layers of the eye. There are two main factors that result in eye color changes in adults cats: disease and injury. The most common illnesses that can lead to a change in eye color include uveitis, cataracts, jaundice, corneal ulcers, corneal sequestrum, and eosinophilic keratitis. Infection of the pigment parts of the eye often leads to uveitis, which causes inflammation. Cats with uveitis will often have a red, muddy appearance around their eyes. Sometimes, the iris itself will also change colors. Cataracts are another common ocular disease seen amongst older animals. Cats with cataracts often have a cloudy, blue appearance that starts in the pupil then spreads to the rest of the eye. Jaundice is a symptom of liver problems that results in an increased expression of yellow pigment around the eyes and skin. If you notice your cat has jaundice in the eyes or skin, get them to a vet as soon as possible as many liver diseases are fatal if not treated immediately. Corneal ulcers may result in a cloudy, pink eye whereas eosinophilic keratitis is a condition that may give the cornea a white-grey film. Corneal sequestrum results in the formation of black plaque around the cornea. It is condition commonly seen in purebreds such as Persians, Himalayans, Siamese and Burmese cats. Eye injuries can also result in a change in eye color in cats. This is because if the eye is damaged, red blood cells in the eye can cause the eye to appear darker. If your cat goes outside or has been injured recently, be sure to take them to the vet if you notice a sudden change in eye color as they may have internal bleeding. So, When Do Kittens’ Eyes Change Color? As mentioned before, kittens are born with blue eyes, but at about 6 to 7 weeks of age, they will begin to develop their adult eye color. By 12 to 16 weeks, this eye color is typically set for the rest of their lives as long as they are healthy. It’s important to remember that there are various factors such as age, breed, genetics, and disease which can influence your cat’s eye color. Own any cats with awesome eye colors? Leave us a comment below.